Honda motorcycles India will be launching the new CB300R today (February 8, 2019) at an expected price of under Rs 2.5 lakh ex-showroom, pan-India. The bookings for the same commenced in January 2019 at a token amount of Rs 5,000. Honda has confirmed that the bike will be brought in the market via the CKD route, however, all other motorcycles in the segment are locally-manufactured. 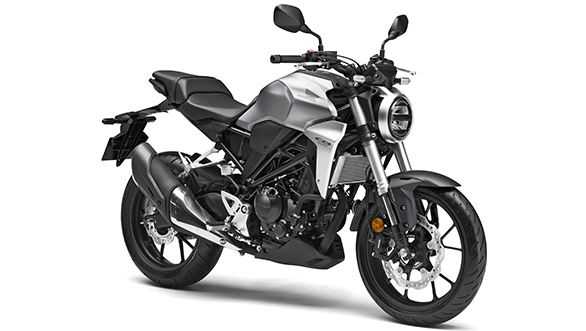 The 2019 Honda CB300R carries the new 'Neo sports cafe line' design which, in essence, is a mashup of modern and retro design. 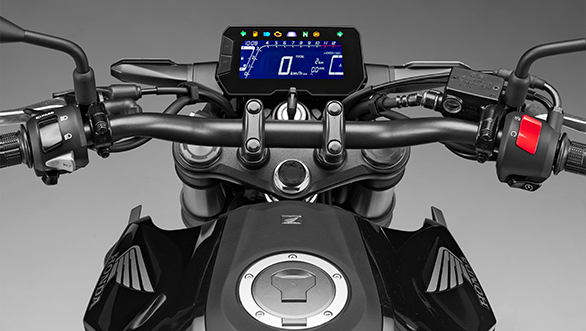 Upfront the bike sports a circular headlamp with an exposed instrument cluster. A beefy tank and minimal body panels exposes a bit of the new steel diamond frame, evident from the side profile. In the international markets, the 2019 Honda CB300R is powered by a 286cc, liquid-cooled, single cylinder engine which produces 30.45PS at 8,000rpm and 27.4Nm of torque at 6,500rpm. We expect the Indian bike to be launched in the same state of tune. The new 2019 CB300R will be competing against the KTM 390 Duke, Royal Enfield Interceptor 650, and the BMW G310R. If priced aggressively the bike could also go up against the TVS Apache RR310.